Delisha Easley from a young age has desired to serve and a guide person was the most important goal to be achieved. With that benevolent mindset, Delisha grew up with an exquisite passion for people and at the age of twelve sets out on her first mission trip. Over the years, she would travel to countries such as Guatemala, Mexico, England, and France to be a source of tangible help to people. When it came time to pursue her purpose, Delisha chose to attend Oral Roberts University in Tulsa, Oklahoma. She was a model student partaking in both athletics (awarded academic scholar), as well as other extracurricular activities, all while maintaining her studies. She graduated with degrees in Special Education as well as Teaching English as a Second Language. She has also recently received her Masters in Psychology from the University of Phoenix. 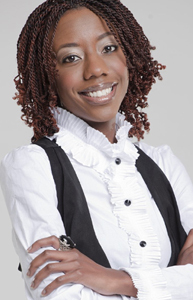 Yet Delisha’s thirst for knowledge did not stop there she also became a certified life coach. Delisha is a woman of many talents. She is an educator, certified life coach, writer, entrepreneur, and author. She has been featured in magazines such as, Gospel Today and Sistah Talk E-magazine, because of her distinguished and growing voice in her generation. Easley has also been interviewed across the country on radio stations such as, Detroit’s #1 Hip-Hop & R&B station WJLB 98 FM and Atlanta #1 talk radio WAOK 1380, and many more. She has an overwhelming passion for her generation, namely women, adolescent through young adult. Because of this passion, in 2013, she will launch Rare Jewel Ministries, which is dedicated to training the next generation for kingdom lifestyle. Delisha’s desire is to use her education, coupled with her life experience, to assist these young people in discovering their purpose and achieving their dreams.